The beginning of a little set of animals with Scandinavian mittens. I almost want to knit a few sets of these myself to supply our woodland friends with some winter warmth. The first installment of four knitted friends, in my series Smitten with the Mitten. These little woodland critters will be helping us count down the weeks to Christmas! It's important to remember to stop and smell the flowers, like this little bunny. Afterwards however, she might enjoy it for lunch. 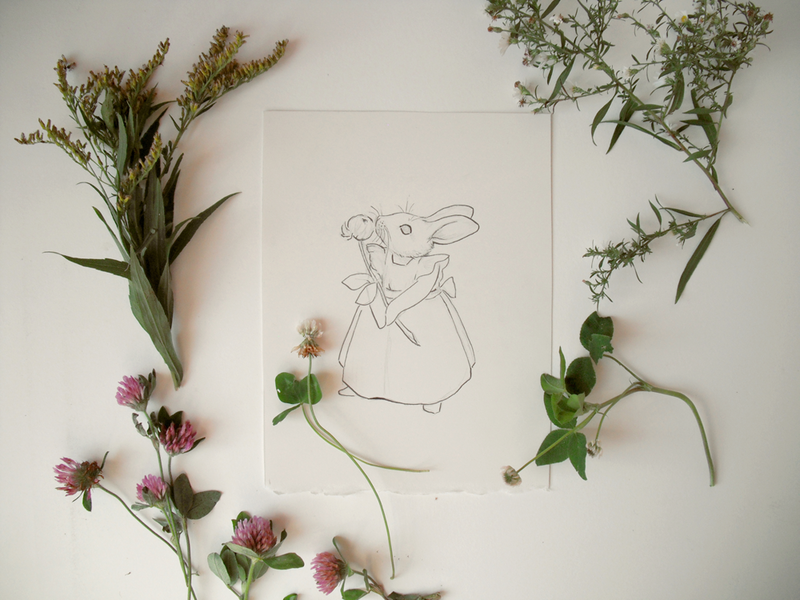 New painting coming soon: "Rambling Jack Rabbit"
Here is my sketch of the traveling bun, Jack Rabbit. I'm smitten with this 'fella. I'll share the painting with all of you shortly. Until then... happy trails! My latest illustration: Coloring Eggs Together has been so well received, I would like to thank all of you for your kind words! 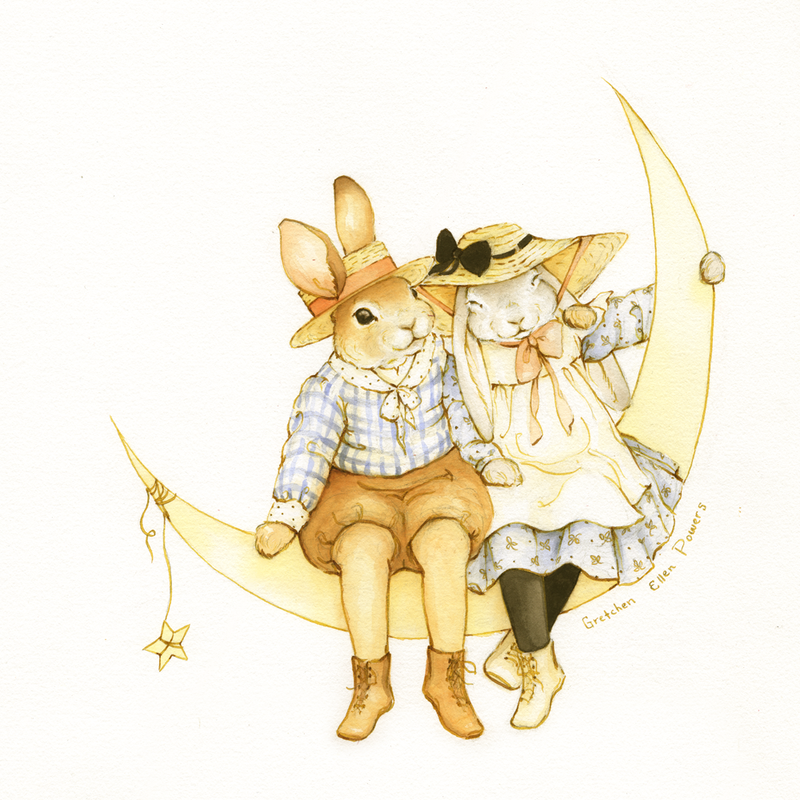 Just in time for spring and Easter, I have listed the original painting for sale in my shop. I have to say that this painting has found a special place in my heart, and I almost can't bring myself to part with it. It is definitely one of my favorite pieces in my portfolio right now. A Happy Easter to all of you, my little rabbits, in your own little burrows across the globe! This brother and sister know that rabbits make the best of friends, and who better to help them decorate a larger than life egg? 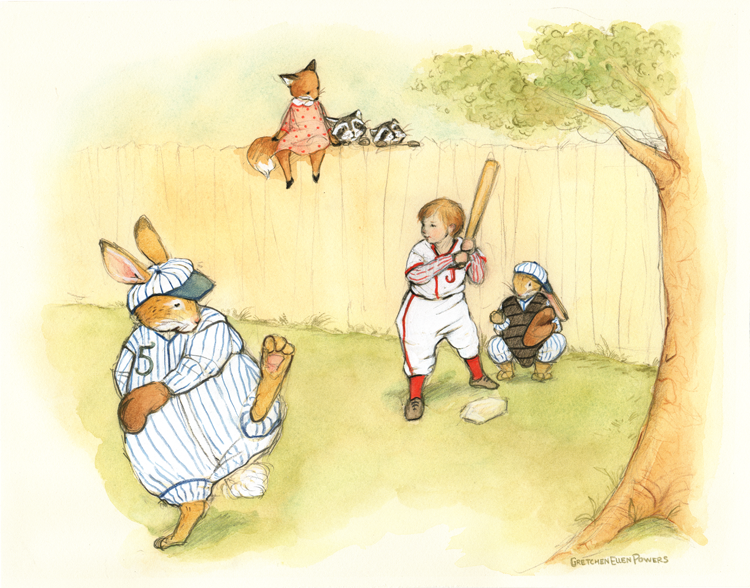 The children are using broad strokes of red paint and paint cans, while the two bunnies are tackling the task of the fine painted detail with their little brushes and paint palettes. All the while springtime is in full bloom coming up around them. Wishing a Happy Easter to all of you as well, my little rabbits!